A native of Coquitlam, BC, Alex Stieda raced road bicycles for 15 years of his life, from age 17 to 32 years. He raced for Canada’s national team from 1979 until 1992, the last 7 years as a professional. 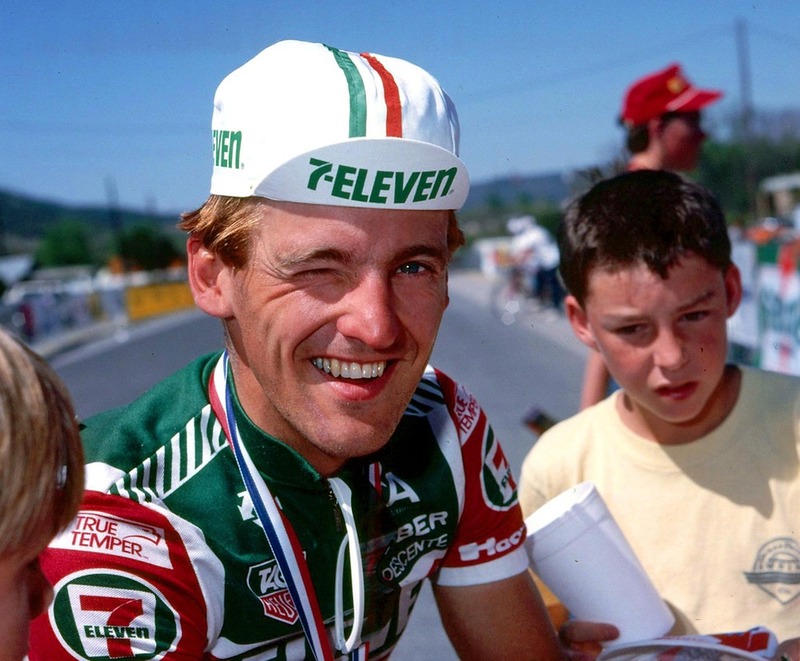 He competed an average of 100 races a season, over his 15 year career including winning the Yellow Jersey in the 1986 Tour de France (first North American to do so), 3rd in the 1983 Universiade (Edmonton) and 1982 Commonwealth Games (Brisbane), and representing Canada at the Olympics (1984). After retiring from professional racing in 1992, he immediately transitioned to Sales Manager for a bicycle manufacturer (Softride) based in Washington State. After 4 years, he re-located his family to Edmonton where he works in the Information Technology (IT) field. Alex also operates his own bicycle touring company, where cycling enthusiasts can experience the Tour de France first-hand on exclusive trips to the Tour de France and other high profile events. Other cycling related activities include skills-based cycling camps, skills video production (The Smooth Ride), bicycle industry consulting, print journalism as well as colour commentating for television including CBC at the World Championships and Outdoor Life Network for the Tour de France. He currently resides in Edmonton, with his wife Samantha and two children, Kalie and A.J. They enjoy a variety of activities together and have a large extended family there. Jack, great to hear from you…thanx for reaching out. Great to hear that you are still riding!! Keep it up.